Now’s the time for the annual Gothenburg International Film Festival! The intense eleven days will see the screening of 429 films from 80 countries, more than 40 seminars as well as parties, clubs, music, food and exhibitions. The Grande Finale, the ending party is on Saturday Febryary 4th at a hip club called Yaki-Da. It’s going to be a huge and a beautiful evening of music and friends, as well as hipsters in the international film industry. Did I mention that Jazz & Fly Fishing is performing there? 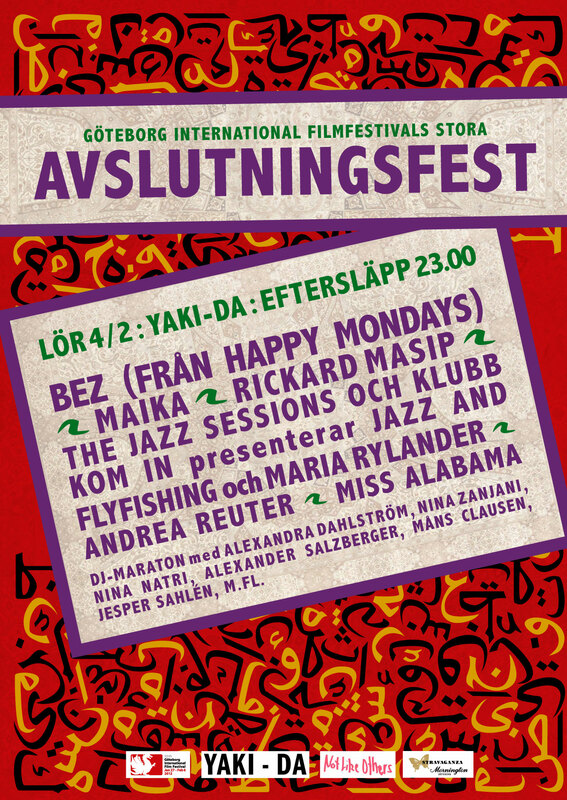 The doors open for the public at 23.00, and the live jazz starts on the top floor with the Swedish jazz singer Maria Rylander’s band. We’re on stage right after midnight. The club will be crowded with lots of film festival VIPs but you can get a ticket at the door for 140 SEK. Or you can mail us (info (a) jazzandflyfishing.com) and we’ll put you on the guest list! Yaki-Da has really great food and drinks, and we really really want all you J&FF friends there. Just make sure you arrive before 23.00 because it will be PACKED from 23.00-04.00!!! Really looking forward to this one. Be there! I wish I could join you at the Film Festival! Have a wonderful time! All the best, Cheers!